CPG Aeronautics.... » Launch delayed to Sunday July 25 / launch pad update. Launch delayed to Sunday July 25 / launch pad update. Due to high winds, Saturdays launches have been delayed until Sunday. The purpose of the next three Artemis missions will be to test the new custom built mid power launch pad, and associated electronics. 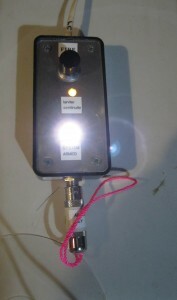 Launch pad test fitting using Artemis Booster. 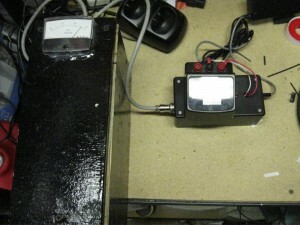 The electronics include a SLA battery powered pad support unit, and hand held launch controller. 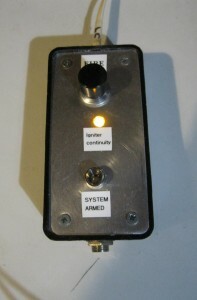 Un-armed aunch controller showing remote igniter continuity indication. 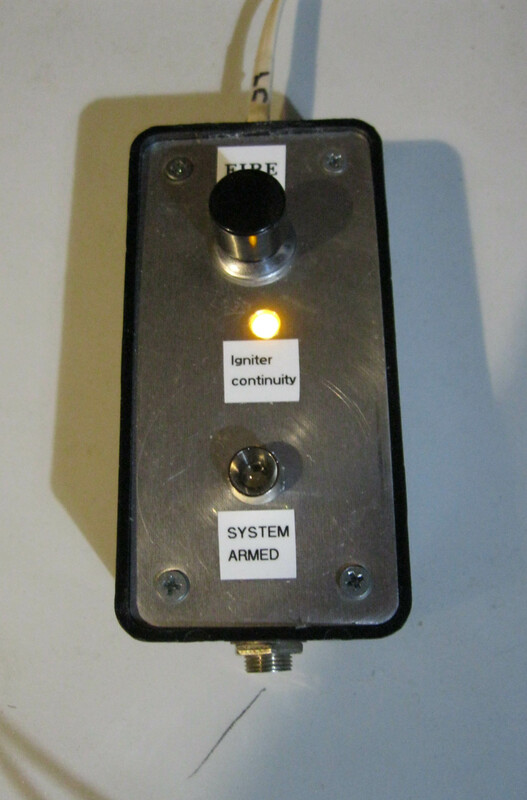 Launch controller armed for launch. Big box on the left contains the 7Ah SLA battery. This launch pad is the first step in our bigger project of a customized launch pad system to support future higher power rocketry projects. Consider it our “getting the feet wet” phase. We will let you know how it all works out!